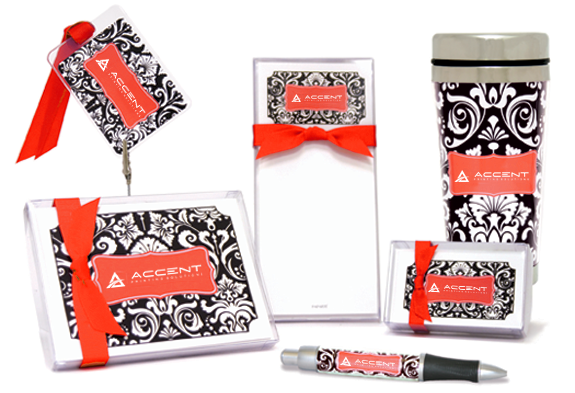 Accent Printing has thousands of promotional products used by our customers throughout the year at conferences or for leave-behinds. But with the holidays around the corner this is a great time to think of personalized gifts for your customers! It once was common to send gift bags to customers filled with pens, mugs, t-shirts – all with your company logo. Some still assume that every promotional piece should have company logos, but why not give them personalized pieces with THEIR logo on it? Choose a gifts they’ll use daily like totes or notepads and they’ll tell others where they got it! As one of the leading commercial printing companies in New Jersey we have the experience that will ensure the promotional product you choose gives you the greatest impact and will fit your budget. We can help select the perfect item for you this holiday season! Next up: Tis the Season of Giving!